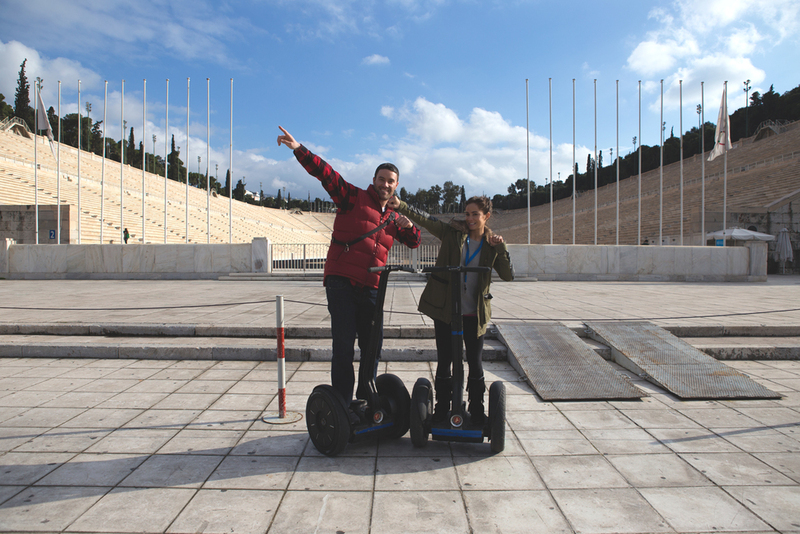 Our trip to Athens was awesome! 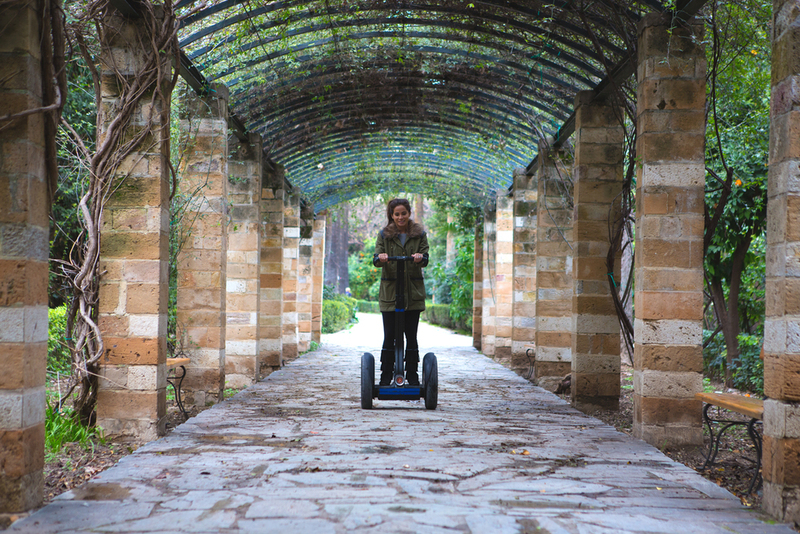 Who knew Greece in February would have so much to offer? We fell in love with the food, the vibe of the city, and the warmth of the people. It seemed like everywhere we went people were happy to give directions or a recommendation for where to eat. Here are our tips, plus some pictures of our trip, if you'd like to see. Pin it! 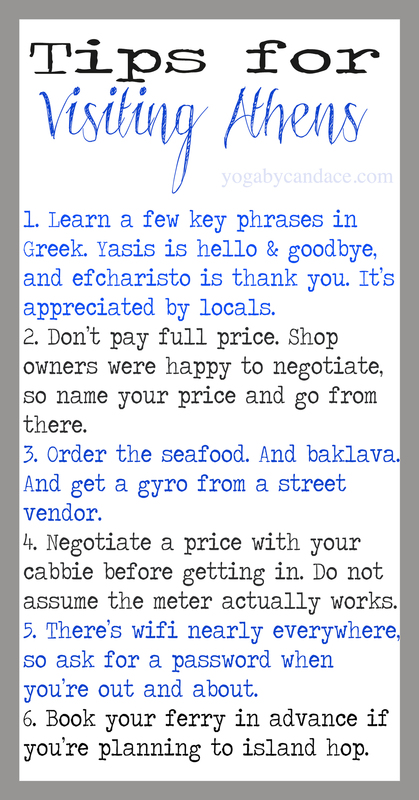 Tips for visiting Athens. Teaching a pop up class at Bhavana Yoga Center. Day one started with an early flight from Berlin to Athens, and then a cab took us straight to the yoga studio, where I taught a two hour pop up class. I met some fantastic people, and a few of us grabbed coffee afterwards before making out way out to buy groceries and get dinner. We rented an apartment for our stay and it was right around the corner from the acropolis, so on the second day, we woke up, ate breakfast, and headed out to explore the area. I didn't realize what a huge hike it would be up to the top. Definitely got my cardio in on this trip! 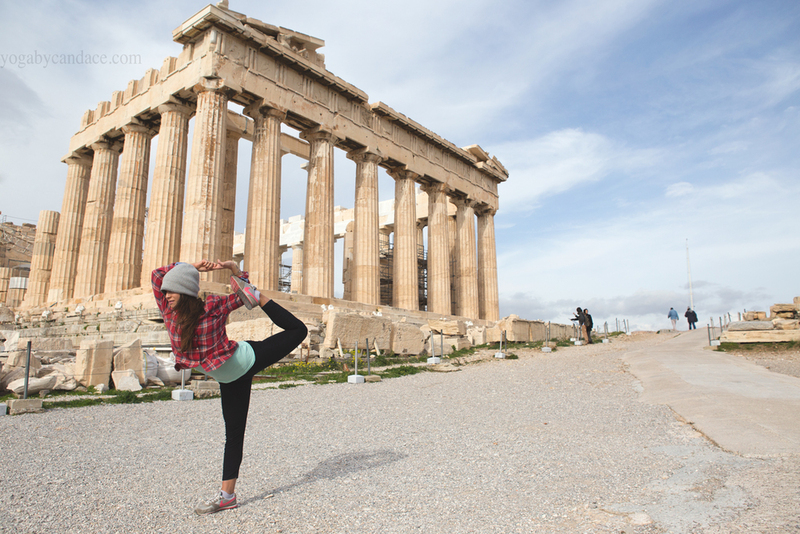 Another perk of traveling to Greece in the off season is that all the major touristy spots are practically empty! The following day, we set out for the National Archaeology Museum. We spent about three hours there (and definitely didn't see everything), so if you go, make sure to give yourself plenty of time to browse. My favorite part of the museum was the shipwreck exhibit. The work was recovered in 1900-01 and 1976, and the shipwreck took place in 60-50 BC, but the cargo is from the 4th to 1st century. Insane, right?! The sculpture above is from the wreck. I mean, look at those eyes. The following day we did a little shopping in the flea market and little shops in Plaka. We bought a really cool bronze Spartan helmet for our mantel, and Greg was on the lookout for a handmade chessboard, which we found as well. Afterwards, we went to the post office to mail our souvenirs back to Germany. Since we had taken EasyJet and traveled with just carry ons, we didn't have room to bring them back ourselves. This worked out fine though- our goods arrived today! From the post office, we headed directly to the port and hopped a ferry to Aegina Island. We found a cute spot for lunch, where I had a delicious fish soup. Before getting back to the ferry we picked up some baklava from a little bakery. Obviously baklava isn't on the GAPS diet, but when you're in Greece and have the opportunity to have the real deal, you need to take a bite or five. I did pay the price (it was pretty heavy on my stomach), but it was worth it, in my opinion. The following day we were booked to go back to the real world. I arrived back in Germany just in time to drive across town to teach a class!